One essential item any keen cyclist will need is a decent bike box or bag, so which one should you choose? Well over the next few weeks I will be reviewing a selection and identifying the best. First up is the Polaris Eva Pod, a hard case that will fit any bike. Whilst hard cases are slightly more awkward to store, they do not pack down and they do take up a fair bit of room compared to their soft counterparts. The Eva Pod Plus is quite large in size though as mentioned earlier it will fit both road and mountain bikes. My first impression was that the Pod looked tough, it also matched the colour of my bike…ok it’s the function that’s important but you have got to love a bit of colour coding. The EVA Pod Plus is like a giant suitcase, it has a full zip and extra clips to further secure it. 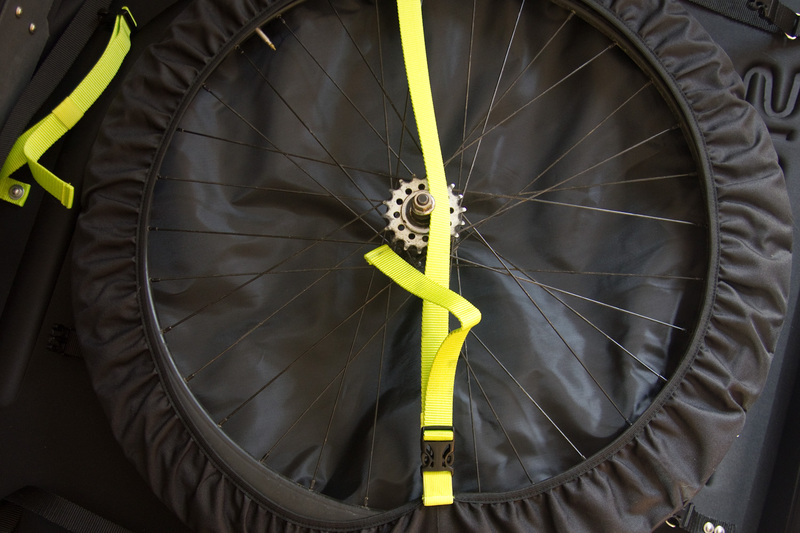 Inside the pod is very impressive, it features a plethora of straps and clips to secure you bike nicely. I used the EVA Pod Plus to transport my track bike and to say there was plenty of room would be an understatement! There is definitely room for your kit, shoes, helmet, tools and anything else you fancy. There are pockets or compartments on the Pod, though a couple of bags and cleaver packing keeps everything snug and secure. The internal straps and clips are a bit stiff and I found it hard to finely adjust them when I had them closed, instead I found myself having to unclip them and adjust them before closing. This will probably loosen with time but I did find it slightly annoying and unnecessarily time consuming. The Pod has a couple of wheels to make transporting it easier, the case is quite high so can be prone to toppling over but on the whole it’s pretty easy to maneuver and compared to a soft case it’s a pleasure. It is essential to be able to travel wit your bike without the fear of damage, there is nothing worse than getting to your destination unpacking your bike to find bent wheels, derailleur or a dented frame. The EVA Pod Plus will securely protect your pride and joy, whilst it might have fiddly straps and be hard to store it is tough and kept my bike safe so what more could I ask for? 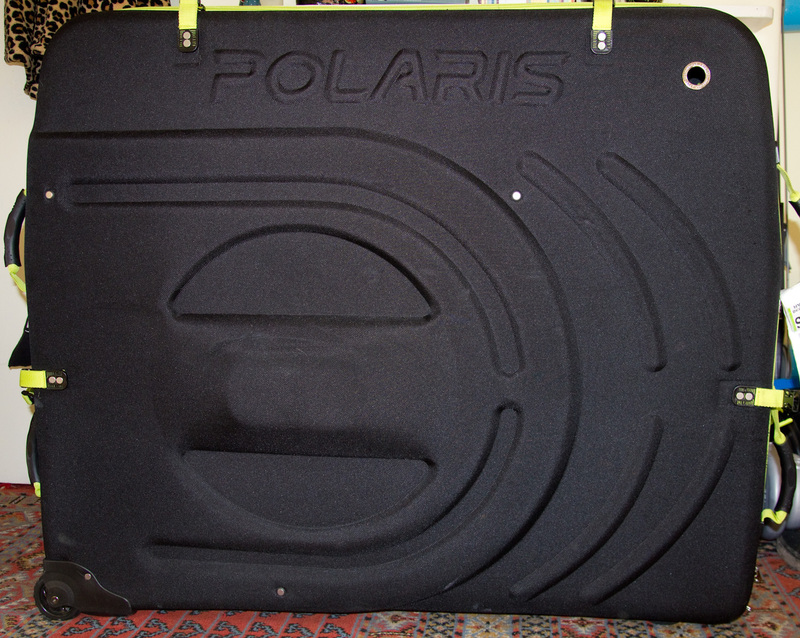 If you are looking at getting a new bike box or bag then I would definitely recommend the Polaris Eva Pod. A tough and sturdy well thought out design that will keep your bike safe! thanks for the review and what a nice track bike you got there! Thanks for the review! Nice track bike you got there!